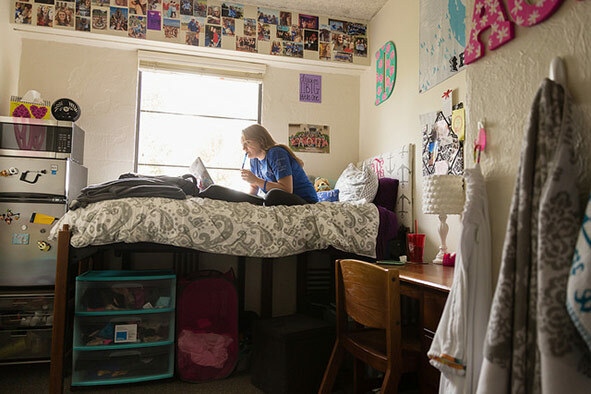 The Office of Residential Life & Explorations has everything you need for on-campus housing. In support of the college mission, the Office of Residential Life & Explorations is committed to creating inclusive, secure and well-maintained learning environments that are conducive to, and focused on, holistic student development, student learning, and student success. In order to accomplish our mission and support the College, we recognize that the work which needs to be done is bigger than our department alone. As such, intentional collaboration with students, faculty and staff is critical to our success. Learning We believe in the educational power and potential of residence halls and the on-campus living experience. We aim to complement and support the curricular experience by engaging students in developmental opportunities outside of the classroom. Social Justice We are committed to creating environments free from hate, prejudice and discrimination; where the diversity of each community member is celebrated and all share the same basic rights, securities, opportunities, and benefits. Responsibility We educate and prepare students to think critically, make thoughtful decisions and embrace personal and social responsibility. We do so by holding students accountable, both individually and collectively, for their actions or inactions in an environment marked by care and concern where we empower students to do the same. Collaboration We instill the idea of active citizenship through encouraging the principles of interconnectedness, partnership and shared responsibility. These elements create a network of social and emotional support, laying a foundation for a community marked by civility. Leadership We develop the capacity for leadership in all students by promoting self-awareness and reflection of one’s individual skills, strengths and values. We aspire to cultivate leaders who positively and purposefully influence the world around them.